Festival season has officially kicked off with a fantastic week of big events last week in Miami for the Miami Music Week. New festival announcements are starting to hit the internet like crazy, and with them the long awaited lineup for Sunset Music Festival 2017 is finally here. The beloved EDM festival of Florida will be bringing a jam-packed lineup with heavy hitting headliners like RL Grime, Major Lazer, Above & Beyond, and Zeds Dead. 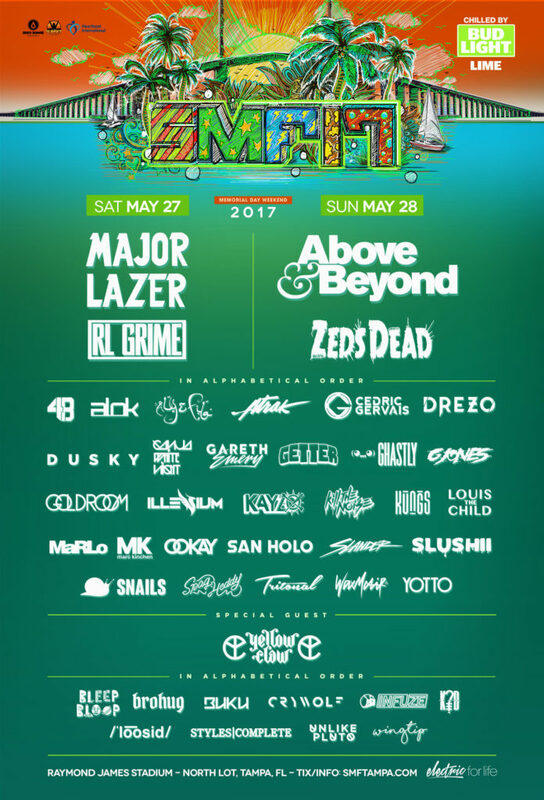 Sunset Music Festival will be making its highly anticipated return to Raymond James Stadium on Memorial Day Weekend, May 27th-28th, 2017. 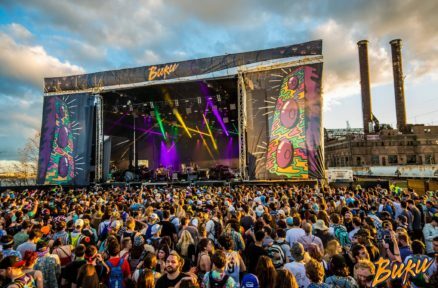 SMF’s organizers, Disco Donnie Presents and Sunset Events, are aiming for a massive weekend with hopes of the festival’s biggest attendance yet. Last year the 2-day fest saw over 50,000 dance music fans walk through the gates, and they are planning on even more than that in attendance for 2017. The rest of the SMF lineup is quite impressive to say the least. Fans will see performances of Aly & Fila, Cedric Gervais, Drezo, Gareth Emery, Ookay, San Holo, Slushii, and much more. You can purchase your tickets for Sunset Music Festival at a discount courtesy of us at Ravers Choice by CLICKING HERE.